Cupcake store employee, Rosalie, finds herself yearning for tattoo artist, Emmett. One Spring day, fate finally steers Emmett across Rosalie's path. Written for MsKathy's Twifans 4 Haiti fundraiser. The Cullens have a secret. It's about to push every limit Bella has ever known. Mature themes, graphic content. A heartbroken medical intern takes a vacation with his father. When he returns, his life changes, thanks to a group of rambunctious friends and a love he never expected. Set during New Moon. Bella didn't jump. But a vision from Alice sends the Cullens running back to Forks. What if Bella wasn't the only one who fell apart when she lost the love of her life? What if Edward couldn't handle being apart? What if he fell? How far could he fall? Who committed the murders at the Swan residence and what happened to Charlie? Just how bad can it get? Thanks to the amazingly talented Anne Cullen for the Banner. Angela and Ben moved to Seattle six years ago. On their anniversary, they run into the Cullens at a nightclub. 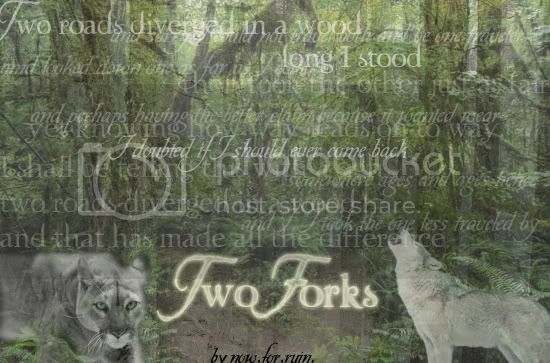 Of course, they look the same as they did back in Forks. However, that's not all. The same night, Angela and Ben's daughter, Nicole, gets hurt. Severely hurt. Now Angela and Ben must make the decision. Should Nicole be changed, or should they let her die? If there was some way to make your daughter live on, when she should have died if the world was the way it should be, would you let her? Or would you let her die in life's natural course, before her time?